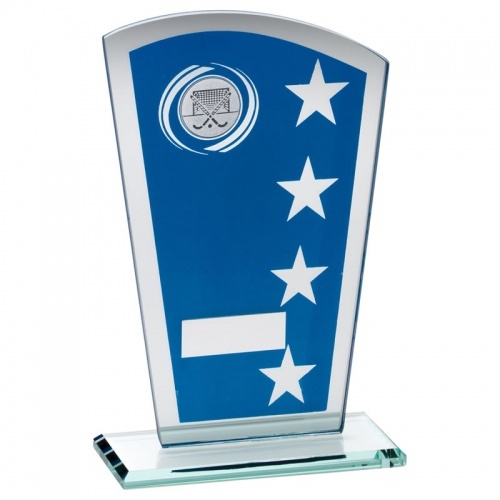 Modern glass plaque award in asymmetric design, in blue and silver colour glass. Features a star motif and a hockey insert. Stands 6.5in / 165mm tall, offered with engraving options.